Combining plein aire painting and live sculpting with exhibits and sales, and lots of live music, the Carmel Art Festival takes over Devendorf Park and nearby side streets for four days of artistic creativity and consumption. 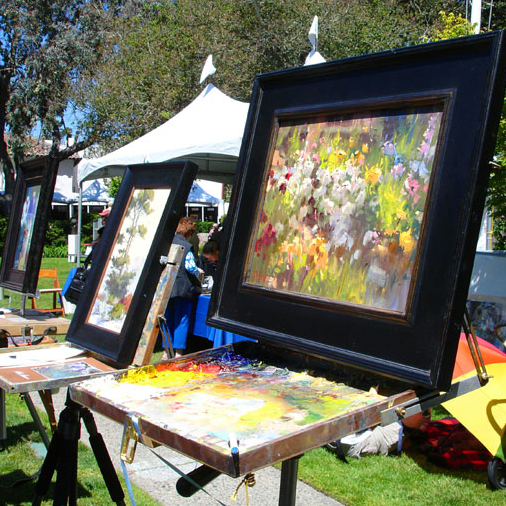 On Thursday and Friday, artists create in the park and outdoors throughout the Monterey Peninsula, while Saturday features more Sculpture in the Park, along with live music, awards, and live and silent auctions of the plein aire pieces. On Sunday, artists engage in a Quick Draw competition, with the results also put on sale alongside more plein aire pieces.